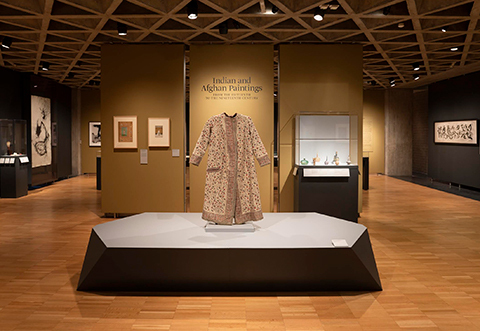 Due to the fragility of Asian paintings and textiles, the west side of the museum’s second-floor Asian art galleries, where these objects are displayed, is rotated every May and December. We use these rotations as an opportunity to showcase different objects and present our collection from varying points of view. Our current rotation continues a three-part series on the history of Chinese calligraphy with a focus on modern works by artists such as Xu Bing, Qin Feng, and C. C. Wang.